How to change the game board size? How to change the AI difficulty? How to change the game board theme? How can I sign out from the game? I’m waiting too much for quick match. What can I do? Q: How to change the game board size? 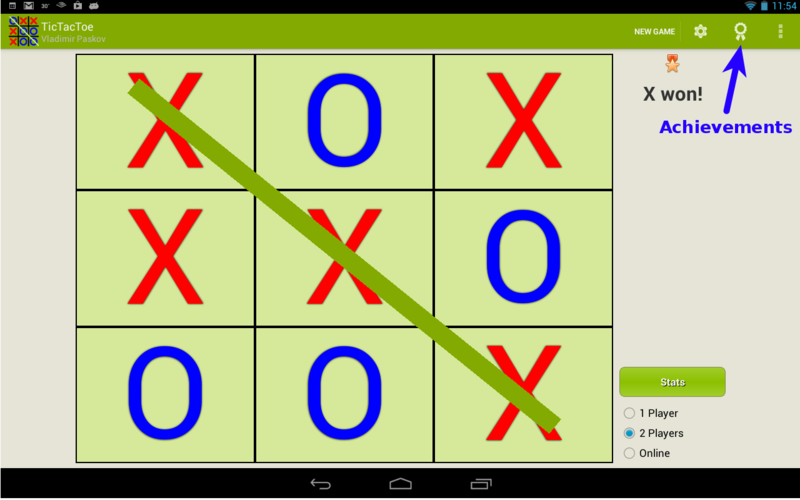 A: To change the game board size of TicTacToe you can go to ‘Settings’ and select the option ‘Game board size’. Available board sizes are: 3×3, 6×6, 8×8, 10×10. Please note that on board sizes bigger than 3×3 you should place 5 symbols horizontally, vertically or diagonally in order to win the game. 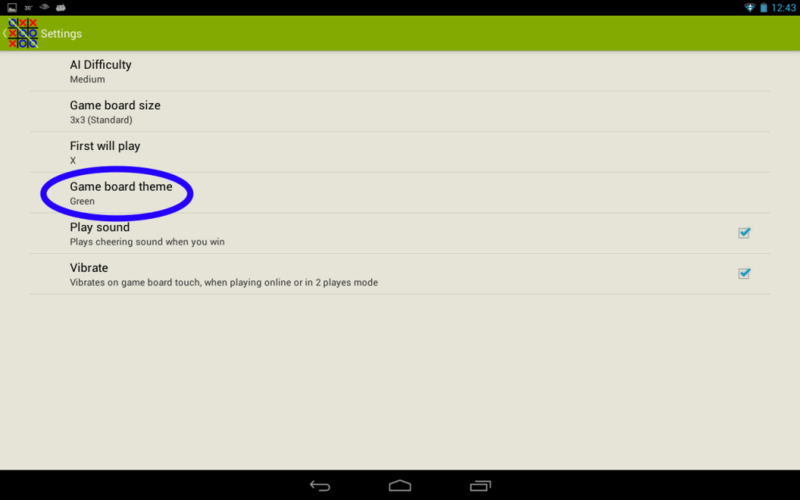 NOTE: On small devices the settings are located in the app menu. Q: How to change the AI difficulty? Q: How to change the game board theme? 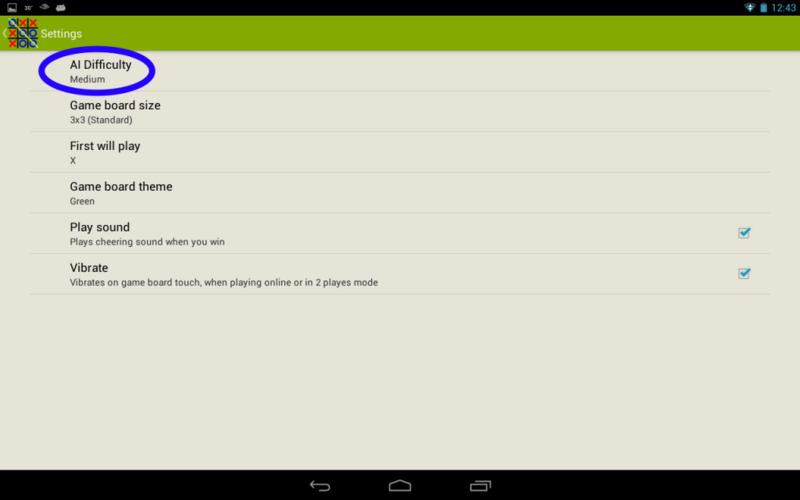 A: To change the game board theme, navigate to settings and select the option ‘Game board theme’. There are 4 different themes available: ‘Green’, ‘Gray’, ‘White’ and ‘Orange’. Q: How to view my achievements? A: To view your achievements progress navigate to ‘Achievements’. NOTE: On small devices the achievements option is located in the app menu. Q: How can I sign out from the game? 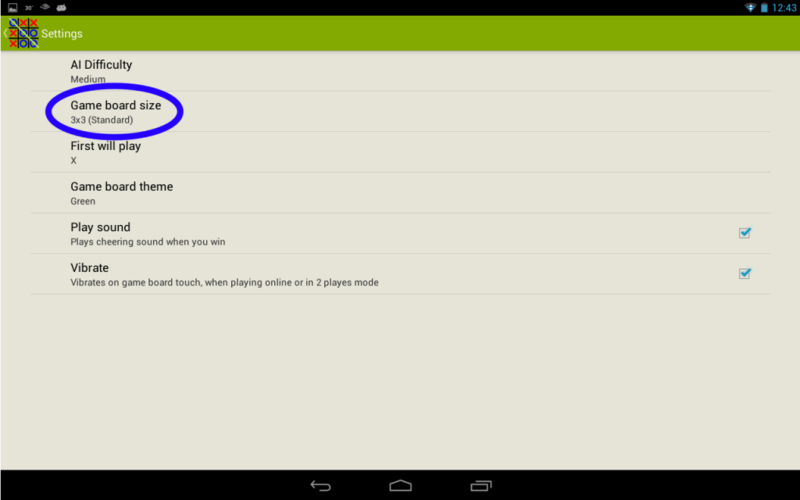 A: To sign out from the game touch the game icon and choose ‘Sign Out’. NOTE: On small devices the ‘Sign Out’ option is located in the app menu. Q: I’m waiting too much for quick match. What can I do? A: When you start quick match the game automatically search an opponent with the same game board size. Try to change your game board size and start a new quick match. Another option is to invite friends. If you can’t find the answer to your question please use the form below.